Luciano de Castro finished fifth in Round 1 of the Atlantic City Invitational, earning 86.5 points on Jug Head. Photo: Andy Watson/BullStockMedia.com. ATLANTIC CITY, N.J. – Luciano de Castro knows that when a bull spins into his hand that it is time to up his game to another level. Once a bull turns left, Castro begins to throw his free arm and work with every ounce to score every point possible. Castro put that effort on display Saturday night in New Jersey with an 86.5-point ride on Jug Head to finish Round 1 of the Atlantic City Invitational in fifth place. “I knew he was a hard bull to get by,” Castro said with the help of Paulo Crimber translating. “I watched a bunch of videos on him. I got really focused. I stayed real square, and I know that when I get a good start I can finish really strong. It wasn’t a round win, but the fifth-place finish was his 16th Top-5 round placement of the season. Castro has won five rounds on the premier series this season, and 16 of his 25 rides have placed him in the Top 5 of a round. That kind of consistency of finishing high in rounds can be helpful as Castro tries to work his way back from his 1,407.5-point deficit of world leader Kaique Pacheco. 2017 World Champion Jess Lockwood had 19 of his 28 qualified rides that resulted in him finishing in the Top5. Castro is 25-for-55 (45.45 percent) in 19 premier series events with an event win, a 15/15 Bucking Battle victory, three second-place finishes and 10 Top 10s. Pacheco was bucked off by Acting Crazy in 3.3 seconds in Round 1, opening the door for Castro to gain 30 points on Pacheco heading into Championship Sunday. A ride aboard Nutmeg in Round 2, and potentially an event win, inside Boardwalk Hall could help Castro take a chunk out of Pacheco’s lead. Nutmeg has the possibility of also spinning into Castro’s wheelhouse. 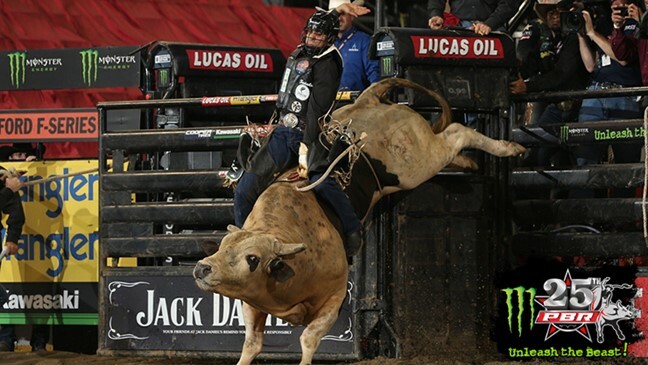 Castro was one of only three riders in the Top 10 of the world standings to notch a qualified ride in Round 1. 2016 World Champion Cooper Davis placed sixth for 15 world points with an 85.5-point ride on Jesus & Bocephus and 2012 PRCA champion Cody Teel finished tied for ninth with 84 points on Finish First Equine’s S & C. Teel earned no world points. Davis is ninth in the world standings and 1,770 points behind Pacheco, while Teel is seventh and 1,560.84 points out of the top spot.